Little did I know after being invited by Sustainia to participate in a climate symposium in Copenhagen, Denmark, that I'd have the opportunity to visit Samso, the first island in the world to be completely powered by renewable energy. At the climate event, I sat next to Soren Hermansen, director of Samso's Energy Academy and mastermind behind the transformation of his hometown, as the group discussed new ways to communicate the seriousness of global warming in anticipation of the UN's Intergovernmental Panel on Climate Change report that will be released this October. I shared with Hermansen my desire to visit Samso, as I wanted to see firsthand the progress the island has made since implementing their master plan more than 16 years ago. Within an hour, after several emails were exchanged, plans were set for me to spend one night and one day touring the island later that week. After a couple hour train ride from Copenhagen to Kalunborg, I boarded a ferry and arrived in Samso two hours later. I was met by Jesper Roug Kristensen, Samso Energy Academy's business accounting and development manager. Already aware that Kristensen was a generous man, as he offered to host me at his family's beautiful home, I was still pleasantly surprised by the incredible dinner and breakfast offered to me, and the following day's itinerary that was arranged so I could meet the many people who have contributed to making Samso a world leader in sustainability. The next day began with Kristensen providing an overview of Samso's 10 year Renewable Energy Island Project while we ate homemade bread and jam, local cheese, fresh squeezed organic orange juice and of course espresso. 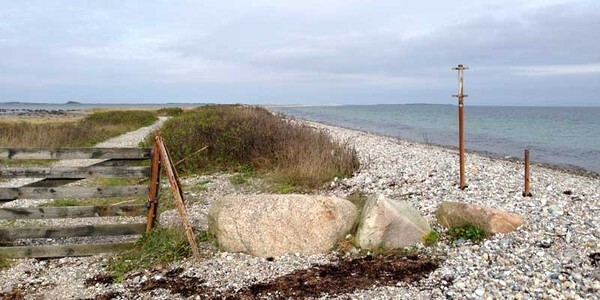 The project began after Denmark's Minister for the Environment—Svend Auken—returned from the Kyoto Climate Talks in Japan, enthusiastic about his country reducing its carbon emissions. In 1997, Auken announced a competition asking local communities or islands to present the most realistic and realizable plan for a 100 percent transition to self-sufficiency through renewable energy. Four islands and one peninsula participated in the competition. 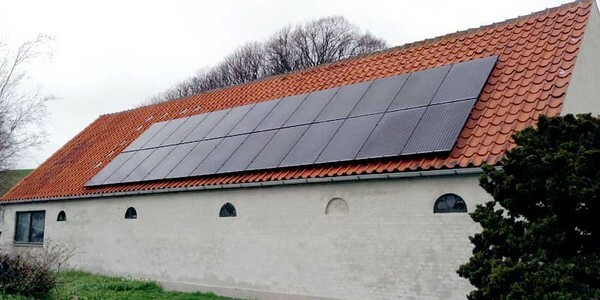 In October of that year, Samso was announced the winner and received funding by the Danish Energy Authority to formulate the details of their master plan. Ten years later, Samso was generating more electricity from renewable energy than it consumed, mainly from 11 onshore and 10 offshore wind turbines, totaling 34 megawatts. Samso's CO2 footprint is negative 12 tons per inhabitant, which includes the 10 offshore turbines that were built to compensate for carbon emissions from the transportation sector. 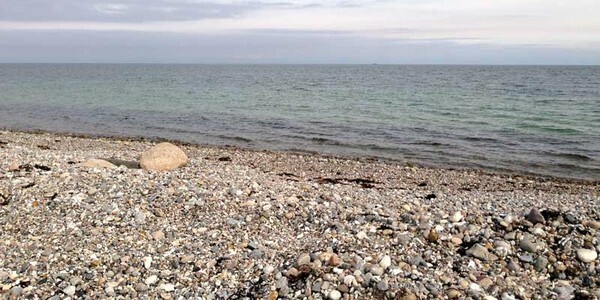 The average CO2 footprint in Denmark is 10 tons per inhabitant. If the offshore turbines were not included, the Samso footprint would be 4.5 tons per inhabitant. Samso's longterm goal is to be a fossil free island, phasing out oil, gas and coal by 2030. After listening to Kristensen for nearly an hour, it was clear that the success of the island project was based on its bottom up approach. 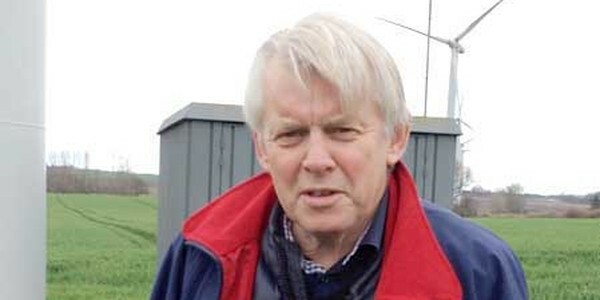 Nine of the 11 onshore wind turbines were bought by farmers, and the remaining two bought by more than 500 people who live on the island or have summer homes there. Each 1 megawatt wind turbine powers approximately 630 homes. 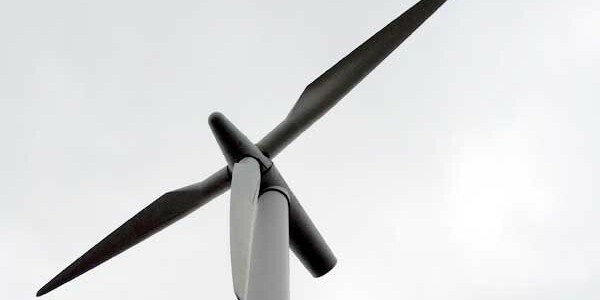 Ten, 2.3 megawatt offshore wind turbines were installed more than two miles south of Samso to offset the CO2 emissions from the transportation sector on the island, including cars, ferries and farming equipment. 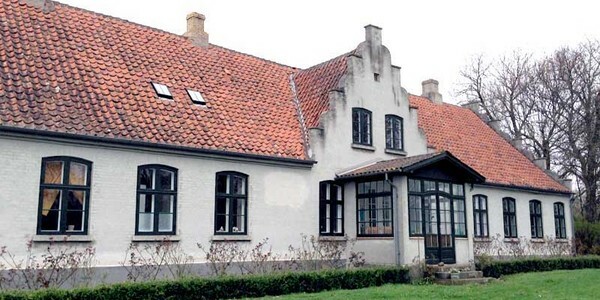 Five of the offshore wind turbines were purchased by the Samso municipality, three by Samso farmers and two by an investment company selling smaller shares to stakeholders. Ownership of the wind turbines by locals made them an integral part of the project and helped contribute to the success of the master plan. Samso has become a global example of how to create a sustainable community through local ownership and community engagement. After one more espresso, we were off to visit one of the onshore wind turbines owned by a local farmer. “We are now standing here in front of Jorgen Tranberg's private wind turbine. He's a big farmer, but if you ask him if he's a farmer, he says 'No, I'm an energy producer.' 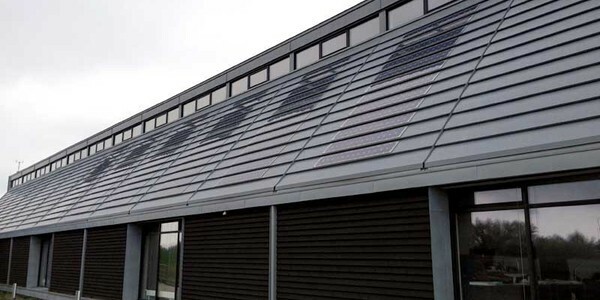 He also has a lot of solar cells on his roof," said Kristensen. 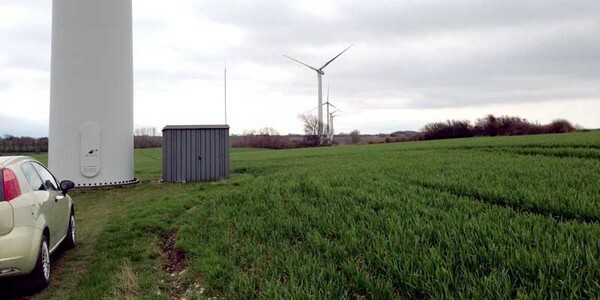 Kristensen detailed how the 11 onshore wind turbines were placed democratically, so if the turbines needed to be moved a little to the right or a little to the left to make everyone in the community happy, that's what they did. They had a lot of coffee together, and sometimes beer, to discuss how their island could implement renewable energy and other sustainability initiatives. 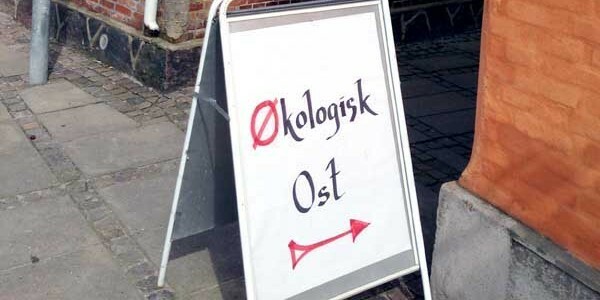 The approach was to ensure buy-in from all the locals, and it worked. 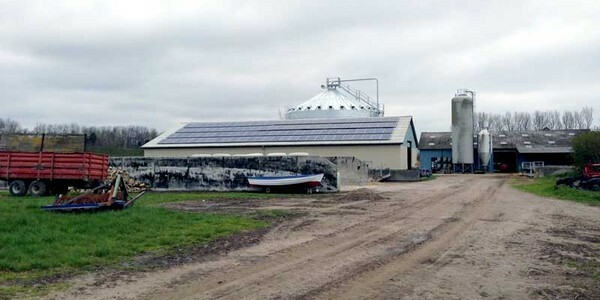 Tranberg grows corn, raises cattle and produces biomass for the local district's heating plants. 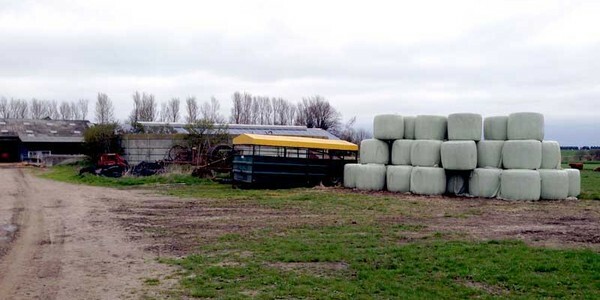 He delivers straw to the plants on contract, instead of burning it in his fields. 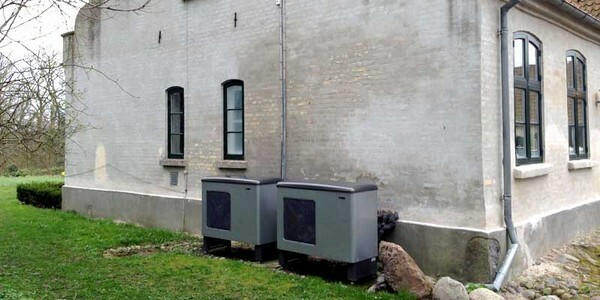 The transition to local heating plants provided additional income to farmers and reduced overall carbon emissions by making a waste by-product a commodity for the farmer. 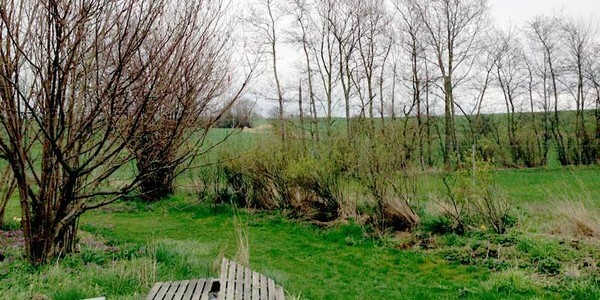 Tranberg also grows potatoes, which are called Samso Gold. Potatoes are a basic crop of Samso, especially when farmers grow first crop potatoes under plastic and harvest them just two months after planting. The potatoes are then sold to restaurants in Copenhagen for around 1,000 Danish Kroner per kilo ($185 USD), making a very nice income for the potato farmer. I enjoyed seeing where these Samso Gold potatoes were grown, as I had been told at a restaurant in Copenhagen, “You haven't had a potato until you've had a Samso potato." The next stop was to one of the four district heating plants. Three of the heating facilities use straw, a by-product of growing barley, and one uses wood chips from local forests in Samso combined with solar thermal panels used to heat water. 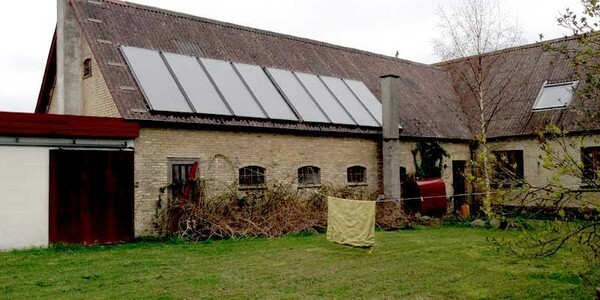 One plant is owned by 240 households, one by a private farmer and two by the energy company NRGi. Conversation is underway regarding the ownership model of the district plants with thoughts on new heating concepts that would combine straw and solar power with heating pumps. 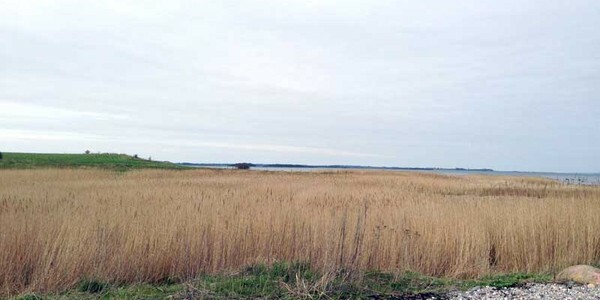 These plants would use less straw, thereby providing the opportunity to build a new biogas plant that would fuel cars and a new gas ferry that will soon be available in addition to the diesel-powered ferry. 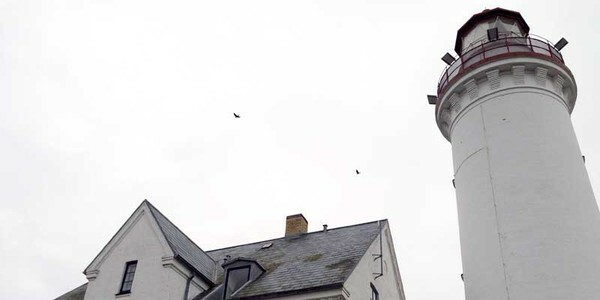 "This local district heating plant was established in 2004 and 2005, costing around 16 million Danish Kroner, or $2.9 million USD. They are using straw as the main resource for heating. 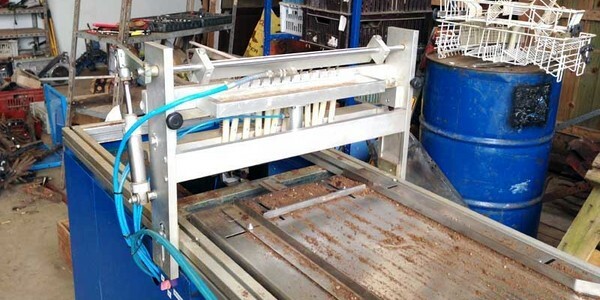 Each straw block weighs about 600 kilos [1,300 pounds], which is the equivalent to 200 liters [53 gallons] of oil. So instead of sending the money down to Saudi Arabia, we actually keep the money here in Samso. It's a better solution for the locals," shared Kristensen as he stood in front of a mountain of straw. 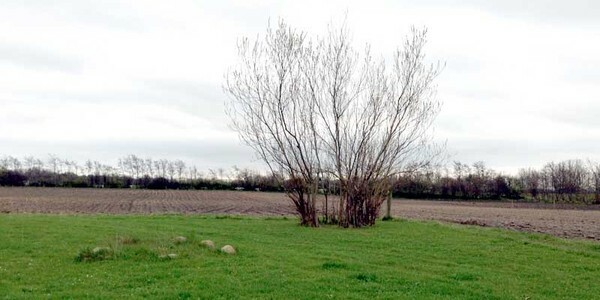 "This plant uses around 1,200 tons per year and services 240 homes. It is owned by the community." Our next stop was an organic produce farm. Though the majority of crops grown on the island are conventional—using a significant amount of pesticides—there's a growing movement towards organically grown produce, dairy products and grains. Kristensen took me to the organic farm Okologiske Grontsager (translation: ecological vegetables), which is run by Johannes Find Loeb and Rasmus Lund Jensen. 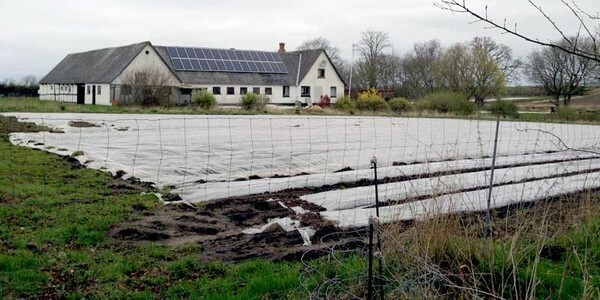 Loeb and Jensen recently finished organic farming school and were given the opportunity to rent this 35 acre farm, which has been organic since 1987. Loeb and Jensen received a warm welcome when they arrived in Samso as there's great concern regarding the next generation of farmers. The population of Samso has been decreasing every year with a current count of 3,750 year-round residents. Kristensen said it's refreshing to see young people on the island working to improve the soil and becoming part of Samso's sustainability initiatives. 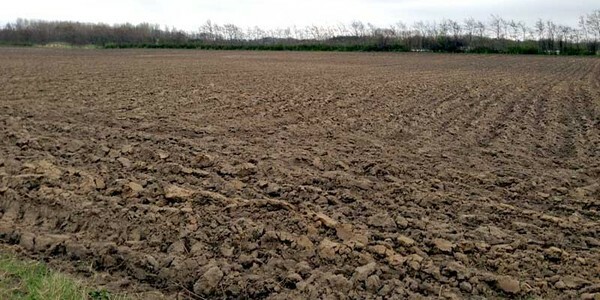 The plan is for the land to be bought by a foundation to ensure it will remain organic and provide opportunities for younger generations to farm. Due to the high cost of farms, it's almost impossible for new generations to take over. 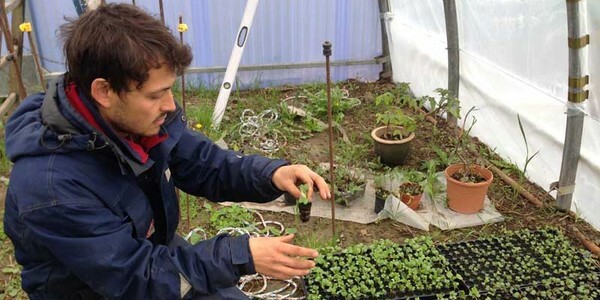 This new ownership model is being developed to attract new generations to grow organic food. 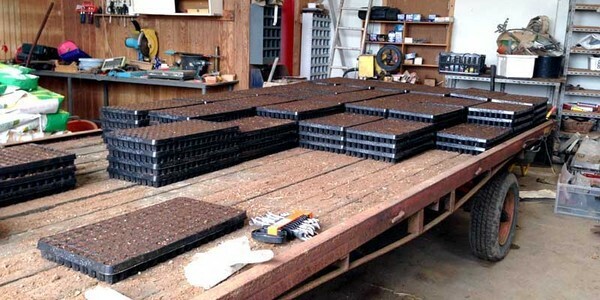 Loeb and Jensen are using 125 different varieties of seeds. They plan to sell their produce to stores in Aarhus, a city on the mainland northwest of Samso, and to local Samso restaurants. They will also have a vegetable stand near the harbor to sell produce to the 75,000 tourists that visit Samso from June to August. We stopped for lunch at the Energy Academy where Kristensen and Hermansen work. The Energy Academy functions as a conference center where companies, scientists and politicians can come to discuss renewable energy, energy savings and new technologies, and learn firsthand how Samso successfully implemented their 10-year renewable energy plan combined with its current focus of becoming a fossil free island by 2030. Inspiration is felt on many different levels at the Energy Academy. In addition to a wealth of information to help ignite the most elaborate sustainability plans, the building itself eloquently showcases green building principles. It has a natural ventilation system and uses rainwater to flush toilets and provides hot water through a small thermal solar system. 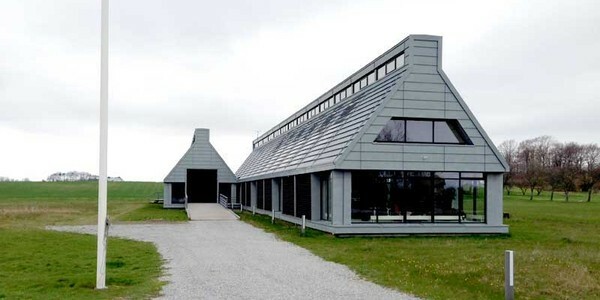 Walls and windows are highly insulated to minimize energy consumption and the building is heated by the local straw-based district heating plant. All electric appliances are A-class energy savers, the electric lighting is low energy and the windows are positioned to maximize passive solar energy. 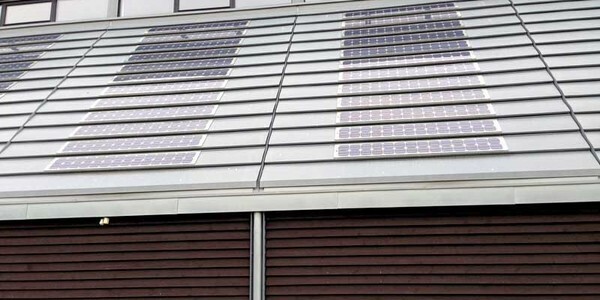 Electricity is supplied by a battery of PV solar cells, supplemented by Samso grid electricity, which for the most part is delivered by the island wind turbines. We lunched with a group of people who live on several different islands surrounding Finland that was visiting the Energy Academy to learn from the experiences of Samso in hopes of implementing similar plans back home. While eating another delicious meal, I learned about the many challenges faced in Finland to gain support for renewable energy projects. After coffee and dessert, Kristensen quickly showed me the rest of the Energy Academy and we were on our way to another local farm. "My husband is a fourth generation farmer. 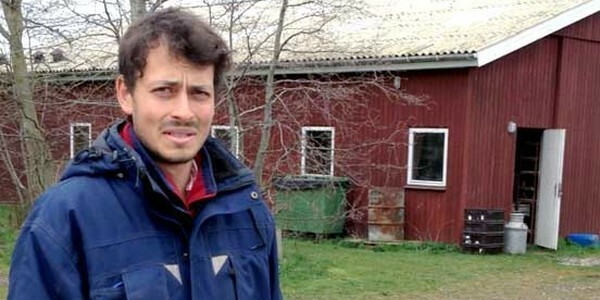 He has been a farmer for many years and has been an organic farmer since 2002. He makes wheat for bread production," said Ida C. Holst who toured us around her farm where they grow wheat, rye and oats. "This windmill is ours. My husband was one of a few farmers that had the possibility of getting his own windmill. He saw it as a very good investment." Their company, Samso Mel, sells organic flour to retail outlets and restaurants on the island. 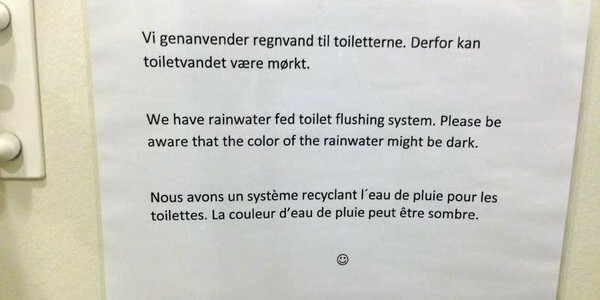 They recently began selling their products direct to consumers via their website and to other parts of Denmark. On our drive from Samso Mel, we quickly stopped at one of the city buildings where they have a 120 kilowatt solar carport that powers electrical vehicles owned by the Samso municipality. 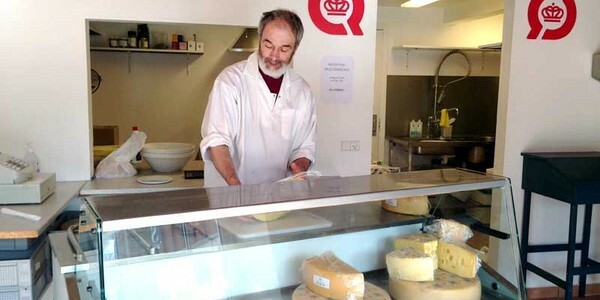 Next, I met Bent Degn Aage Mikkelsen who produces organic cheese and butter on his dairy farm on the south end of the island. 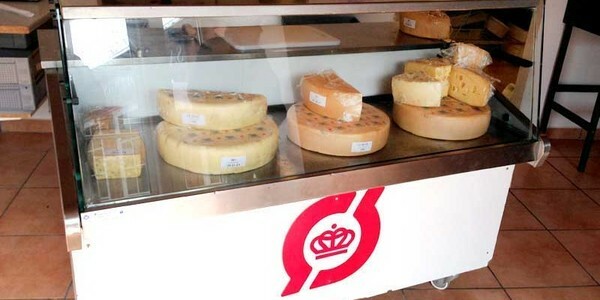 He makes three different types of cheese and sells it to restaurants, especially in the summer when the tourists flock to the island. 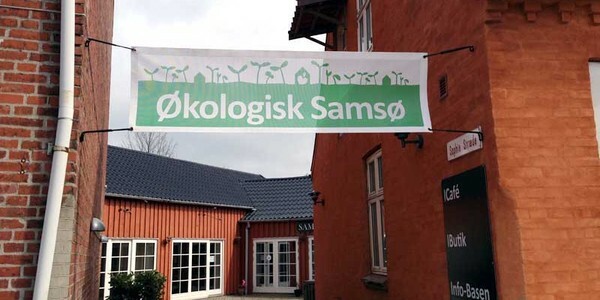 I met with Mikkelsen at the Oekologisk Samso (translation: Samso Eco-Store) where his dairy products are sold along with other sustainable products from around the island. 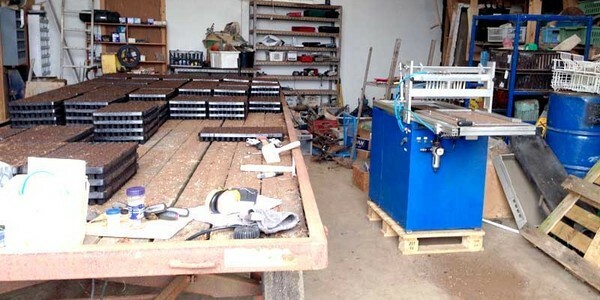 The eco-store is in the center of town and owned by a unique community of farmers and consumers. Monthly meetings are held at this location to educate community members about the importance of organic products and sustainability initiatives underway. The idea of Organic Samso, where organic farmers from the island and outside experts established a common agricultural fund, was born at one of these meetings in the fall of 2012 in collaboration with the Energy Academy. 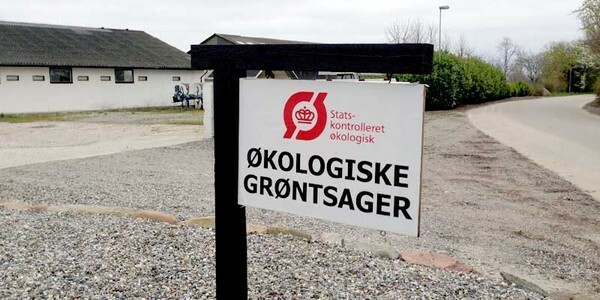 The main objective of the fund is to purchase the Okologiske Grøntsager farm so that it can be rented by organic farmers and increase the availability of organic food on the island, while also creating green jobs and increasing the Samso population. In the winter of 2013, the project was expanded to include organic consumers, personal gardeners and sustainable living communities. 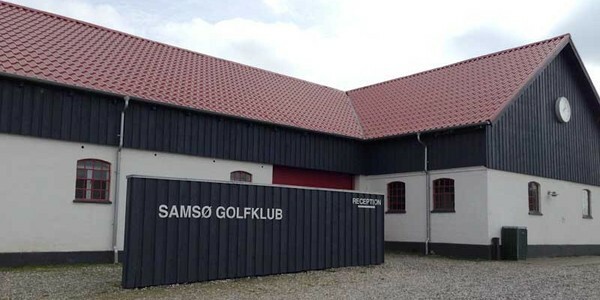 The last official stop was to the Samso Golf Club. 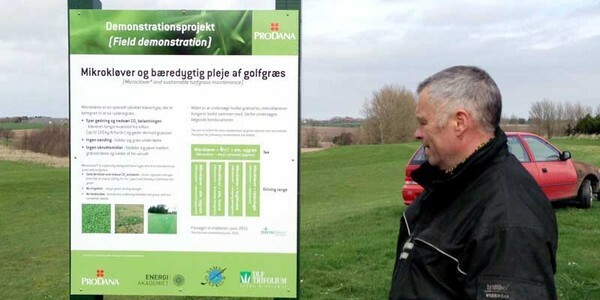 Kristensen, an avid golfer, was very much looking forward to showing me all the sustainability initiatives at the local golf course. 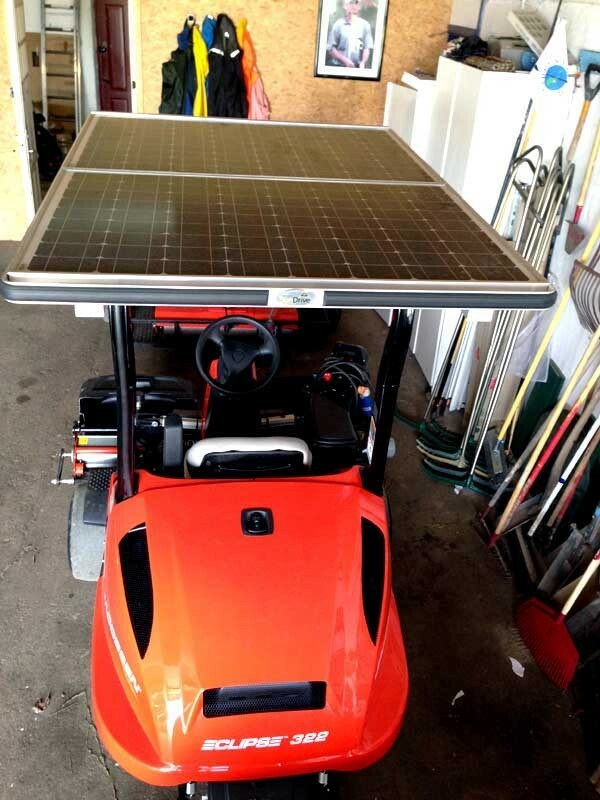 First I had a look at the solar powered lawn mower, which I later got to drive. 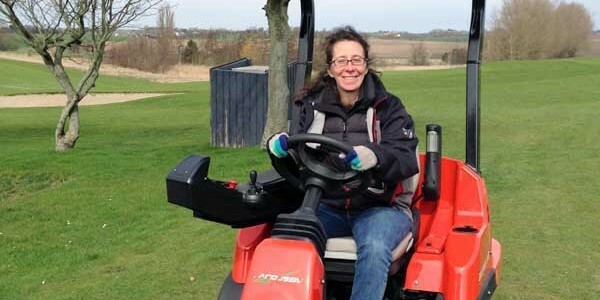 We were toured around on electric golf carts by the manager of the grounds, Greenkeeper Thomas Pihlkjaer. He explained how they use seaweed liquid extract instead of chemical fertilizers and are experimenting with different types of clover. The clover captures nitrogen from the air thereby fertilizing the grass. No irrigation is needed, so the grass stays green even during drought, and no herbicides are needed as the clover out-competes weeds. 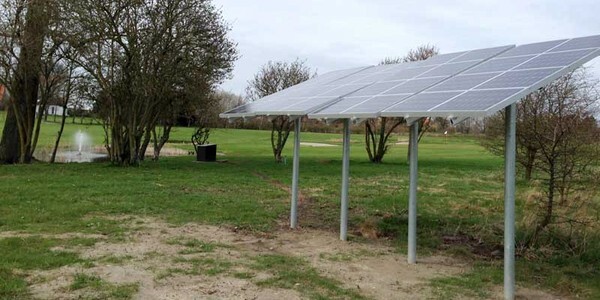 The 3.4 kilowatt solar system powers a pump to bring water to other parts of the golf course for irrigation. The old pumps at the golf course have been replaced by new modern pumps saving an estimated 30 percent of electricity. With just a little time left before I needed to board the ferry, Kristensen took me to a beautiful park, Stavns Fjord Fredning Og Vildtreservat (translation: Stavns Fjord Wildlife and Nature Reserve), and we visited the island's lighthouse. For only spending 20 hours on Samso, I clearly got to see a lot. Thanks to Kristensen for touring me around the island and introducing me to the many people working to make Samso one of the world's most sustainable communities. The Samso Energy Academy is a beacon for the rest of the world, illustrating how we can create sustainable communities through local ownership and local engagement.